Desire 326G Dual is the latest handset that is launched in India by HTC. This is a budget smartphone from the company and is available to purchase in the country. Desire 326G Dual SIM comes with a price tag of Rs. 9,590. 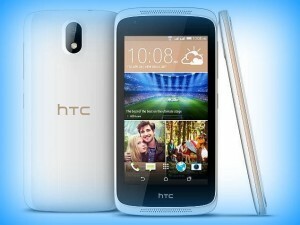 Mumbai: HTC Desire 326G Dual comes with 4.5 inch display and the resolution of it is 480 x 854 pixels. It weighs 146 grams and the handset is powered by 1.2 GHz dual core Spreadtrum SC7731G processor. The processor is paired with 1 GB RAM. Memory can be expanded up to 32 GB via micro SD. Desire 326G dual comes with 8 megapixel primary camera and there is also 2 megapixel front facing camera on board. It comes out of the box with Android 4.4.2 Kitkat operating system. Apart from the usual connectivity features, it also supports WiFi, GPS, Bluetooth and 3G. This is dual SIM mobile handset and comes with proximity, ambient light and accelerometer sensors. It has 2000 mAh battery under the hood which is claimed to deliver up to 11 hours talktime and 286 hours standby time on 3G. HTC Desire 326G Dual was announced for India in April this year but only reached India now. Faisal Siddiqui, President of HTC South Asia said on the launch of the new handset in India that this is a great phone for everyone. It is made of strong polycarbonate material and will be very comfortable to hold. This entry was posted in Launches, Tech on June 5, 2015 by Rakesh.